The next "interlude" issue of Star Wars will hit shelves in December and, like previous interludes in-between the comic's past arcs, will be framed as Luke Skywalker flicking back through the dusty old journal he found in Obi-Wan's home on Tatooine way back in Star Wars #6. Except, this time, Luke won't be recalling a story from Obi-Wan's past, but one from Jedi master Yoda's. I don't know if we've put a pin in exactly when it takes place. It does take place before Phantom Menace. We do get a brief appearance by Qui-Gon and young Obi-Wan, so that will probably help date it. ... This story takes place before the Clone Wars and it's set in a world we've never seen before. I was always just intrigued by that idea. 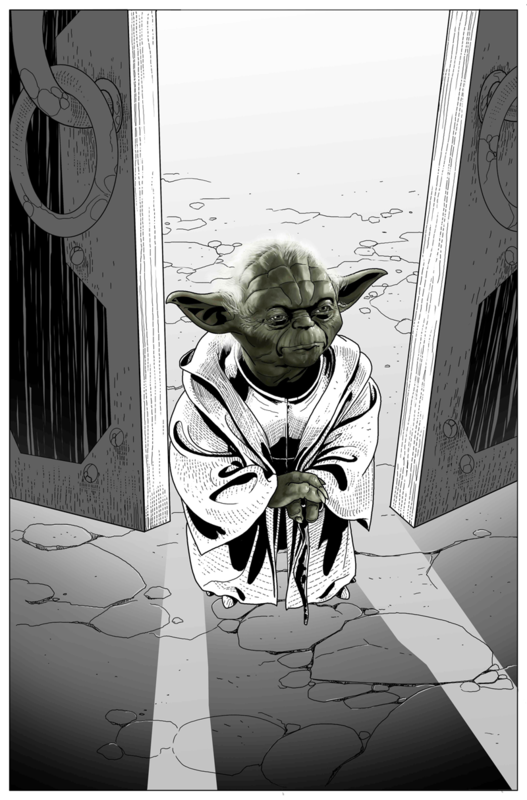 You know, we've seen Yoda as the teacher, as the wise Jedi Master, but I wanted to see Yoda just as the Jedi. So this puts him on a very unusual adventure. The other big challenge with Yoda, of course, is finding something that's a challenge for him, right? Who can pose a threat to Yoda? I think we came up with an interesting answer to that question. That's part of the mystery of this story. There's a very specific reason that this is going to be quite the challenge for Yoda. It's not a matter of just him being the more powerful Jedi. It's a bit trickier than that. 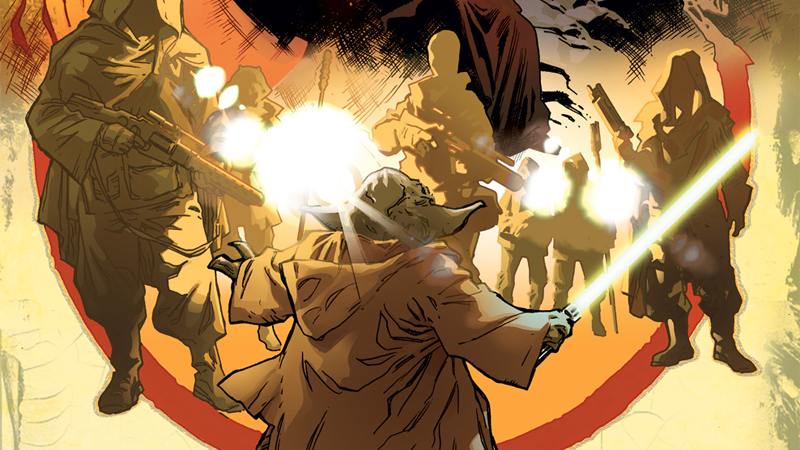 Considering how great these little breaks from the ongoing Leia/Luke/Han stories that are the bread and butter of the main Star Wars comics have been, we can't wait to see what we learn about Yoda in this issue. Isn't Yoda like a thousand years old or something like that? Is this story going to be Old Republic territory? I thought they gave the Old Republic the boot along with the other expanded universe stuff after buying it from Lucas? I hope I'm wrong on that one as Old Republic had a lot going for it. Old Republic is still a thing as it's mentioned in both the prequel trilogy and in The Clone Wars series. However, what was already established as the Old Republic (Revan for example) has indeed been given the boot.